When inputting or editing an interface, it is possible to edit or remove individual points, graphically and textually in a dialog window. Move the mouse cursor on the point, which is to be edited. The area around the point is highlighted. The point is moved by holding the left mouse button and dragging. By releasing the left mouse button, the point is changed. 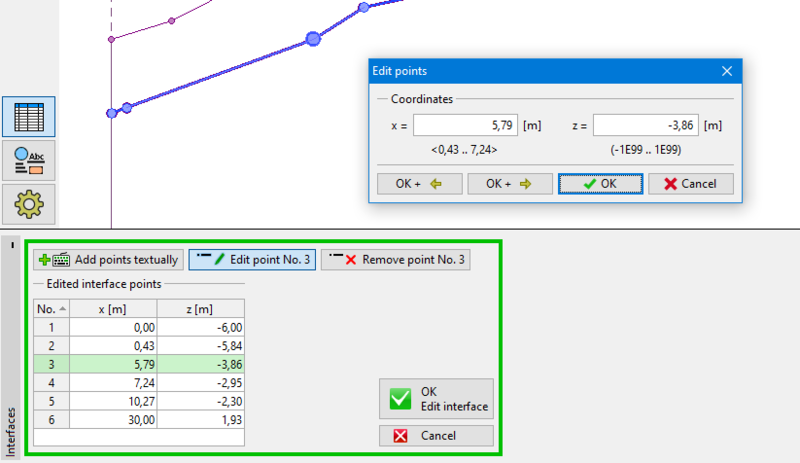 Alternatively, it is possible to press "Edit point" in the table, and change the coordinates in the dialog window. Editing is terminated by clicking the button "OK". Move the mouse cursor on the point, which is to be deleted. The area around the point is highlighted. After clicking the right mouse button, the context menu appears. 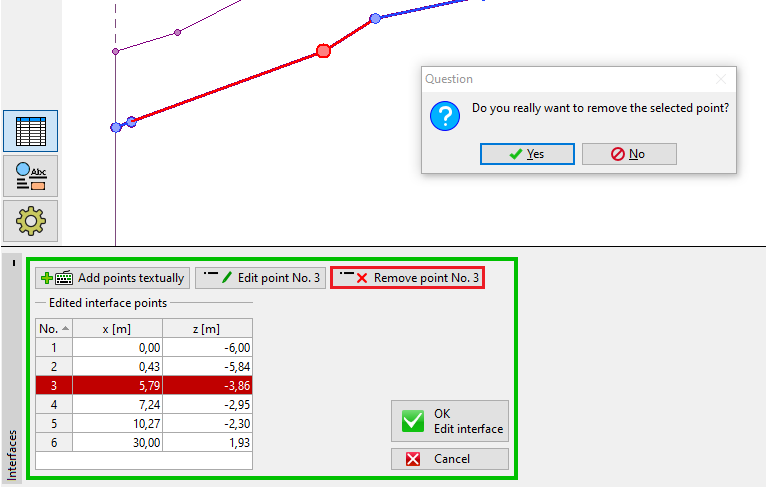 Select the "Remove point" item. The program highlights the point and the lines which are affected by deleting the point in red. After confirmation by the user, the program deletes the point and adjusts the interface. 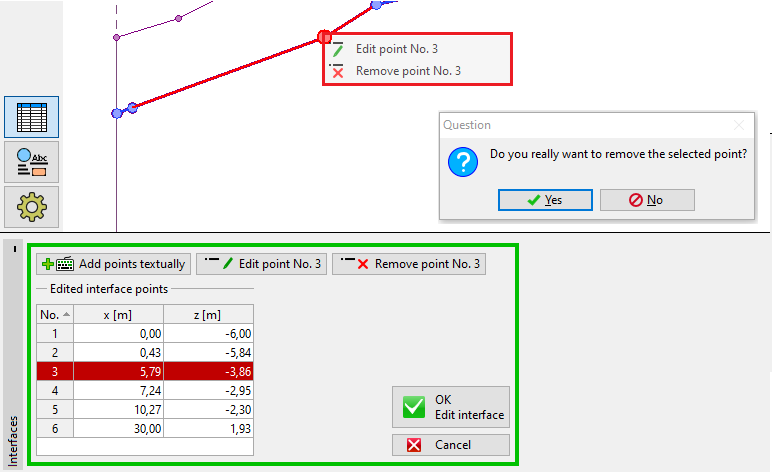 Alternatively, it is possible to select the point in the table and click on "Remove point". Further process is identical to the one described earlier.